Piero Canigiani was Barduccio Canigiani’s, Catherine’s scribe from 1378-1380, father and part of the Guelf movement in Florence, Itlay. 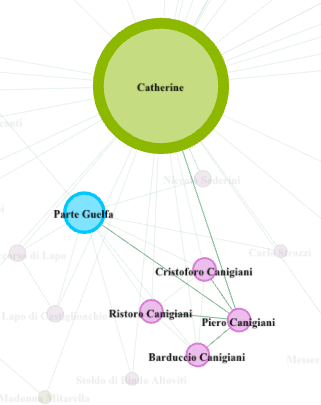 Piero became a follower of Catherine, along with his sons. Catherine wrote to Piero several times in the last years of her life. These letters addressed the political problems he faced, such as Florence banning him from practicing in government.